Location: Home » ABSINTHE » SWISS ABSINTHE » ABSINTHE LA VALOTE M..
Absinthe La Valote Martin is distilled by Mr. Martin as a traditional Swiss La Bleue in the Val de Travers. It is a swiss high quality absinthe and for the friends, who like more anise. But there is a high wormwood content too. 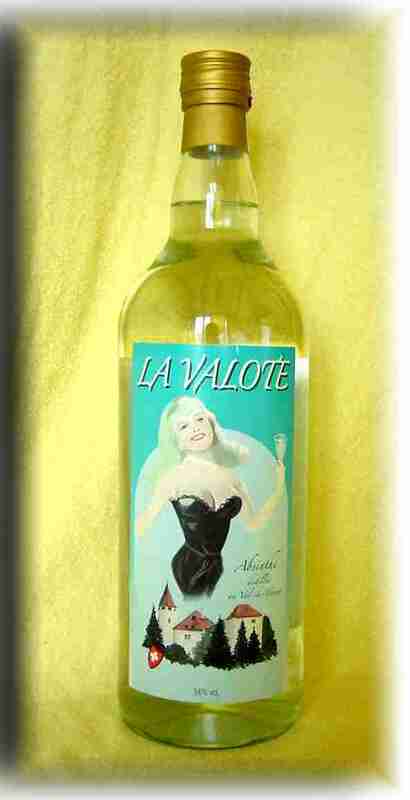 In our opinion it is the best of the Absinthe of the La Valote distillery.